That’s it. Nothing about the Irish Republican Army. Nothing to indicate if the person singing the song is a lover or a father or a mother. But 16 lines turns out to be all that’s needed to masterfully weave three huge (and hugely sentimental) themes together into a compact emotional powerhouse. 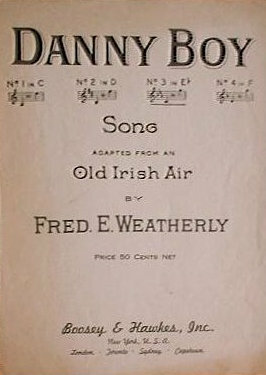 “Danny Boy” links three archetypal narratives or themes, letting them flow together without explanation (which allows for that ambiguity regarding whether the singer is male or female). So even while no clear story emerges, we instantly recognize the mythic themes and all they imply. A boy leaves home… In the first verse, the music of the pipes call Danny away from his childhood home and those who love him there. This taps into hundreds of folk stories, myths, and legends from all over the world. The hero breaks the bonds of childhood and goes out into the world to become a man through a series of trials. Inevitably, there’s a sense of loss that accompanies the compelling need to move on. The pipes may call to war or to adventure or to opportunity—but the basic story remains the same. The loved one will be loyal… The “I” who sings the song is introduced at the conclusion of the first verse, “I must bide.” The second verse naturally follows, introducing the theme of loyalty and steadfastness. Even during a long absence, love will remain strong—through summer and winter, the days and the long nights. A childhood sweetheart could promise to love like this; a mother or father could promise to love like this. “From glen to glen, and down the mountain side.” Savor that Shakespearean iambic pentameter, using simple words that are so crisp and beautifully evocative. “The flow’rs are dying…” I love how this is repeated, with the flowers dying both when Danny boy leaves in the first verse and when he returns home to find death in the third verse. “When the valley’s hushed and white with snow.” This is another beautifully descriptive line, especially with that musical stress on “hushed” in the middle (for best effect, a short pause following “hushed”). “Then you’ll kneel and whisper that you love me…” The song swells to its romantic height, shameless in its sentimentality while holding true to its universal themes. The musical arrangement calls for the singer to strain for an impossibly high note on “kneel,” and then conclude the line with an exhaled whisper. That’s when the tears should start to flow. 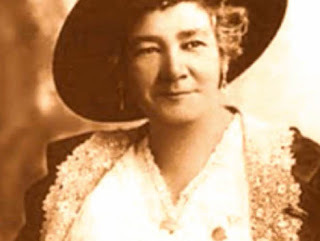 Here’s the earliest known recorded version, as sung by opera singer Ernestine Schumann-Heink in 1917. Enjoy!